Singing bowls, relaxation, stress and emotional release, coherent breathing, heart focused meditation, humming, anchoring and more. Learn about the quality of life and risk factors for chronic disease and what you can do to manage both effectively. 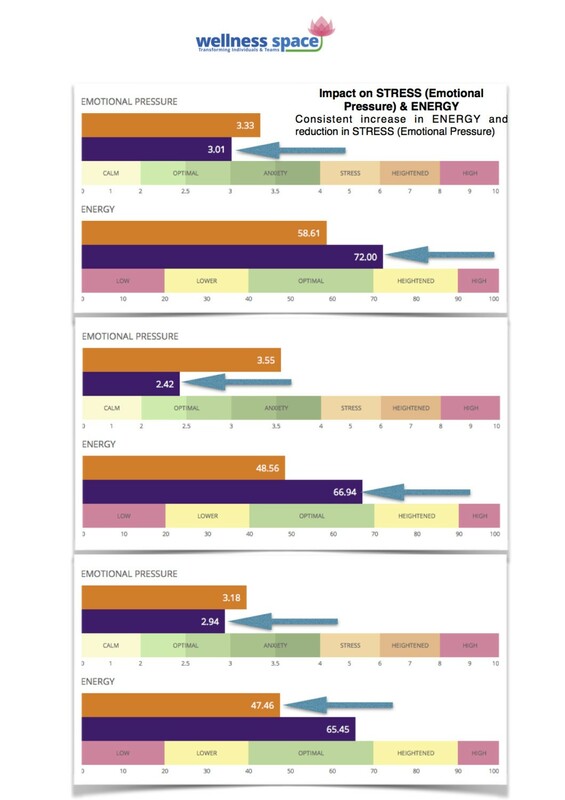 You can also measure your own stress and energy and understand core 4 pillars of life. Individuals at high risk for chronic disease (such as diabetes, hypertension…) or if you have emotional challenges or stress and would like to learn self-regulation techniques. What kind of measurements will be taken ? How coherent breathing will help me (by measuring Heart Rate Variability before and after the intervention). Following case shows data of an individual with anxiety.